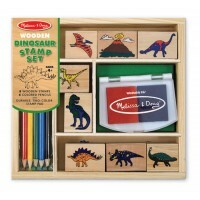 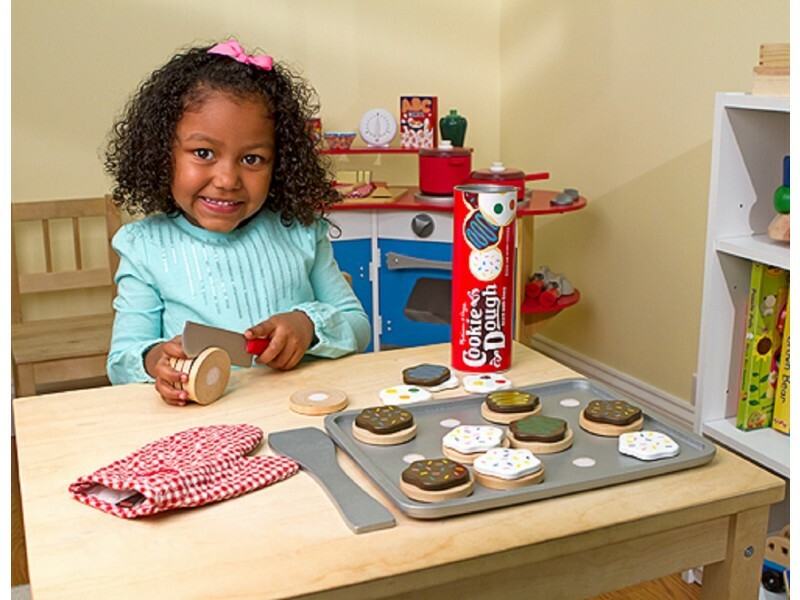 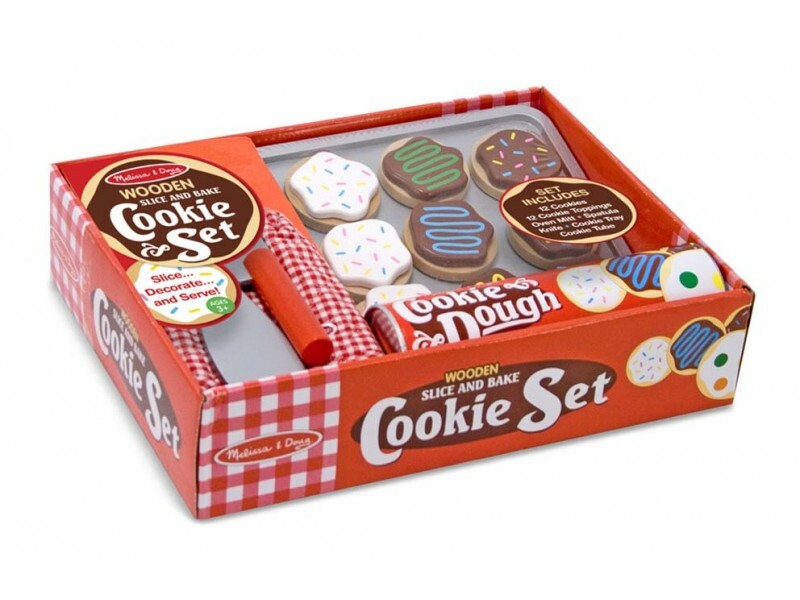 This is another fabulous play food set from Melissa and Doug. 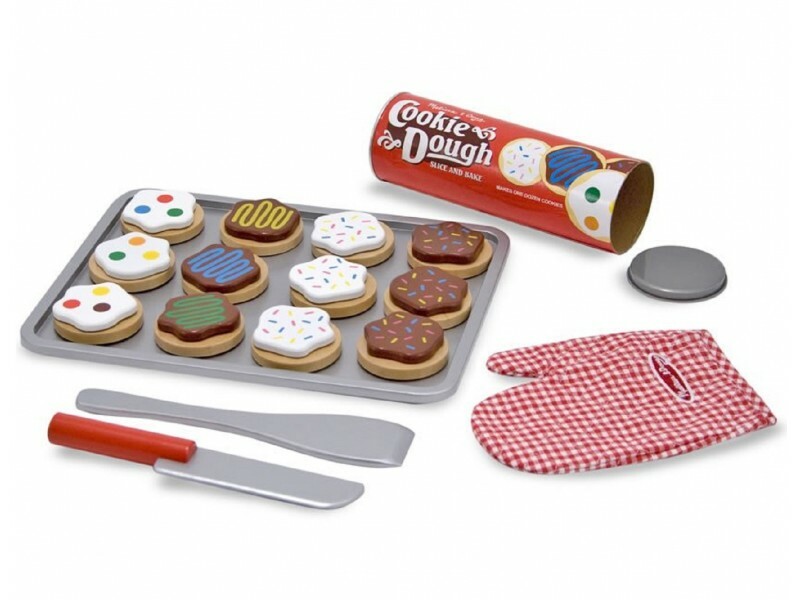 Children will be utterly captivated by this beautiful slice and bake cookie set. 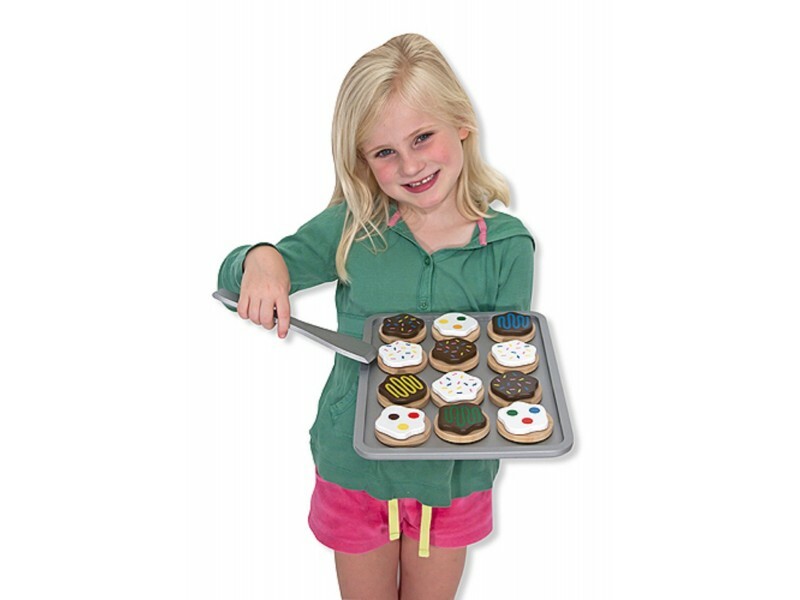 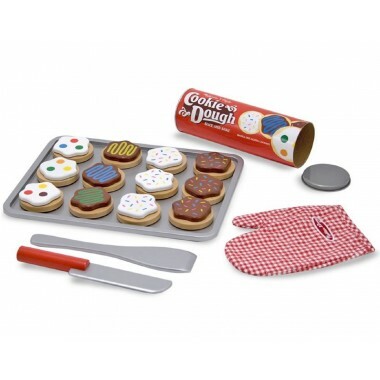 The mouth watering cookie set contains twelve sliceable cookies, twelve tasty toppings, a wooden knife and spatula, a wooden baking sheet, a play oven glove and a cute cookie tube for storing the finished items. 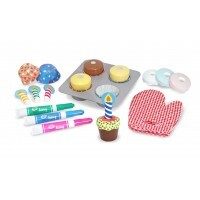 Play food is always popular with children and this lovely set will be a firm favourite in the play kitchen.